Working with Virginia . . . 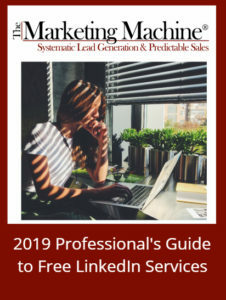 If you’ve read the articles on page one of this website – traps for enthusiastic writers, the discipline of the sales process, and the excitement of winning awards – then you will have realized that my approach to every marketing assignment is based on a PROCESS. Of course, I prefer slightly more professional labels like “Highly organized” or “Consistent” or “Reliable.” But whatever word is used, the end result is, when you work with me, we’ll both know where we’re headed. I rely on a variety of questionnaires, checklists and templates to keep us on track. I like regularly-scheduled meetings and expect to get approvals, from you, at important stages. So, if you’re the kind of person who prefers a spontaneous approach to business, working with me will be tough and maybe impossible! First on the list of valuable tools is your marketing plan. Yes, I’ve had a lot of experience with many different industries, and I consider myself a quick learner, but your business is unique and so is your market. Your marketing plan helps identify that uniqueness. For any given writing job, I expect to work from a creative brief that we develop together. Over the years I’ve come up with a dozen or so questions to make sure we’re on the same page with regards to purpose, audience, tone and manner, etc. Accompanying the brief is a schedule that shows creative and approval milestones. In nearly all cases, the business document you’ll get from me will be written in Microsoft Word. It may have a suggestion or two about graphic design, but I’m not a designer. Assume I’ll be working with your existing graphics team when appropriate. After an initial conversation, and we’ve agreed on the scope of the job, I’ll state a specific amount and put together a contract with details concerning deliverables, deadlines, etc. As soon as I receive your signed contract and deposit – usually 50% of the project amount – I’ll get started. Typically, a well-planned project requires only one set of revisions after the first draft is submitted. These revisions are included in the project fee. Final payment is due two weeks after the final draft is submitted. Want to learn more? Send me an email or give me a call so we can set time for a no-obligation initial conversation about your project!